I've almost neglected this blog to the point I can't even be bothered with it anymore. The thought of stressing about what items to search for my Sunday Wishlist, or ensuring I have a product ready for the Wednesday Review, is getting a bit too much for me. In all honesty, it's making me lose my passion in blogging. Waaa! I don't want to copy the thousands of blogs around that do similar posts already. I want to be myself, writing about the things I really love, having a place to rant and moan if I needed to, and make new friends along the way. If there was a product I loved enough to talk about, then of course I'll share it with you, but I don't want to feel like I have to buy something new every week to fulfill the Wednesday Reviews. There's only so many products I need after all! As for the Sunday Wishlist, the only thing I'm bothered about now is getting money, buying a VW Beetle or a Mini Cooper and getting a full-time job. That's not the point of the Sunday Wishlist, and I'm not eager enough to go through every website to find something random that I want (at the time... A week down the line and I would forget it exists). These posts will appear randomly (I haven't completely given up on it!) - I just need to find my passion and enjoyment out of blogging again, and I think this is what I need to do so. 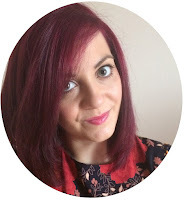 I'm on a mission to find my own blogging style!